Celebrate another year of life! Send this fun twist on a traditional favorite. 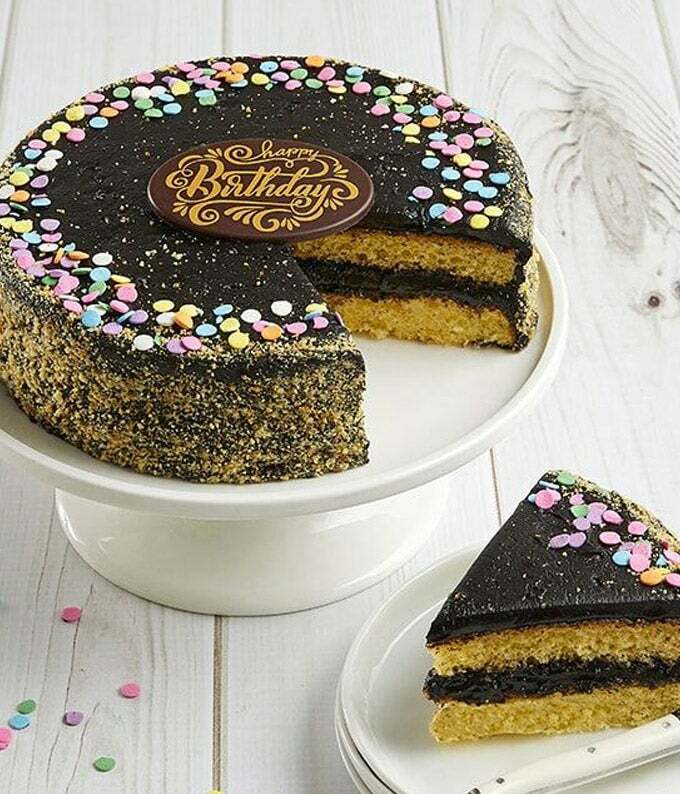 Our Fudgey and Fun Birthday Cake is comprised of two moist, savory layers of yellow cake topped with a rich and creamy fudge frosting, colorful celebration sprinkles, and toasted-golden cake crumbs all around the side. This delicious cake is certified kosher by KOF-K Kosher.